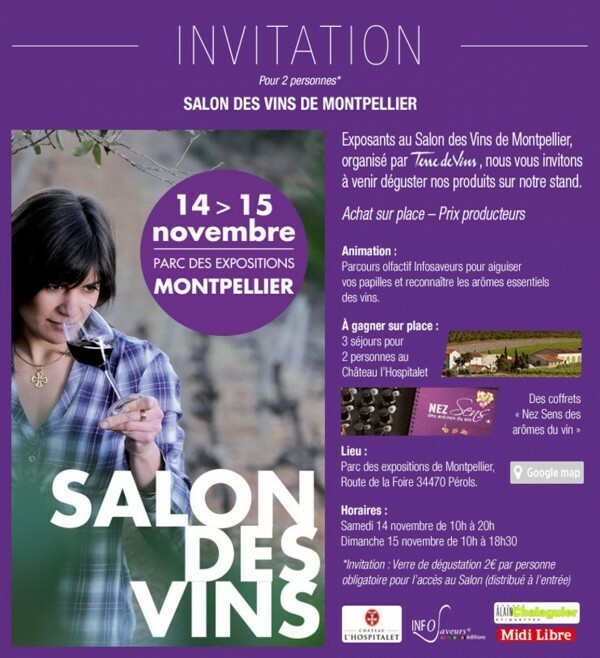 Château de Lastours will attend the next Vinisud Fair at Montpellier: 29, 30 & 31 of January 2017. The Château de Lastours’ team will share with you some great ideas for your christmas meal. « Feuilleté au chèvre » with Château de Lastours, Arnaud de Berre. 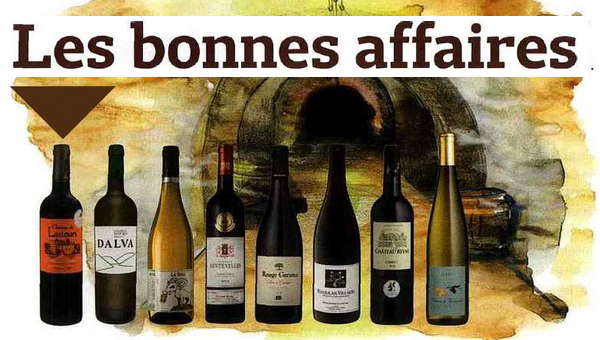 Le magazine Terre de Vins vous présente le Château de Lastours et son actualité. 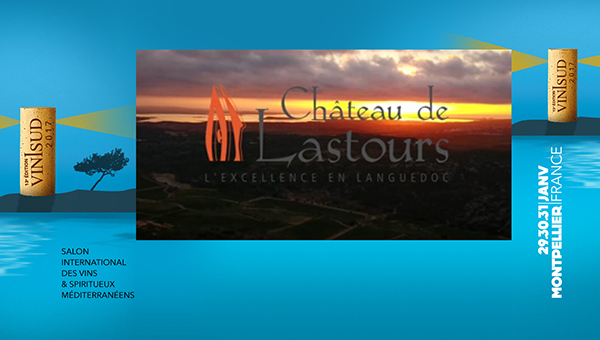 You want to see how is the harvest at Château de Lastours ? Château de Lastours, Rosé : Pink coral color. 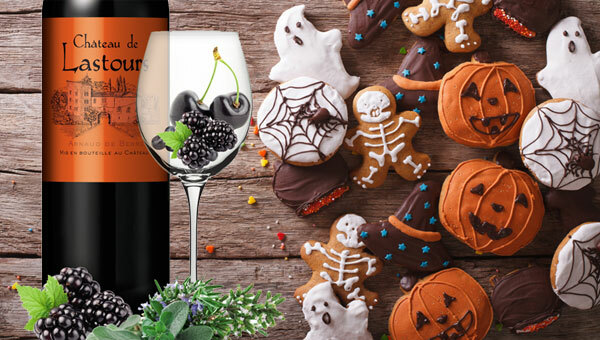 Toasty aromas and flavors of roasted nuts, white strawberries and cherries, and hint of candied bacon with a silky, bright, dry-yet-fruity medium body and an effortless, engaging, honeyed nuts, starfruit, melon, and minerals finish with silky, fruit tannins and no oak. An elegant, delicately complex with lovely balance and a real sense of place. Check out the full presentation on www.tastings.com ! The “Haute Valeur Environnementale” certification recognizes the use of cultural practices that respect the environment and protect the development of vital species. At Chateau de Lastours we use alternative practices to respect the earth’s ecosystems. Our vines are cultivated in untouched areas of land thus allowing biodiversity to develop naturally as well as protecting the local flora, fauna and insects. Chateau de Lastours spreads across 850 hectares, with terraced vineyards and majestic olive groves nestled into the Mediterranean garrigue shrubland. on Saturday, March 26th, from 2:00 p.m to 5:00 p.m.
for the most great pleasure of the papillae ! And surprises for holiday season ! 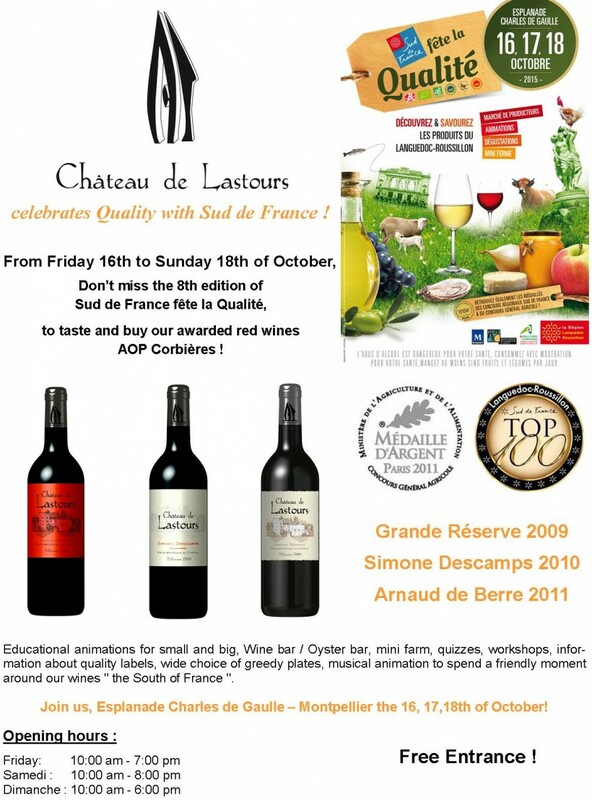 Enjoy a glass of Château de Lastours Arnaud de Berre ! 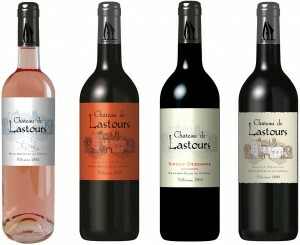 This year, Château de Lastours will produce 450,000 bottles of red and rosé wine. Our wines, both complex and intense, elegant and refined come from local varieties such as Syrah, Carignan or Grenache. It is with great pride that, in 2014, Château de Lastours was granted HVE (High Environmental Value) certification : a recognition of ten years of hard work and commitment. 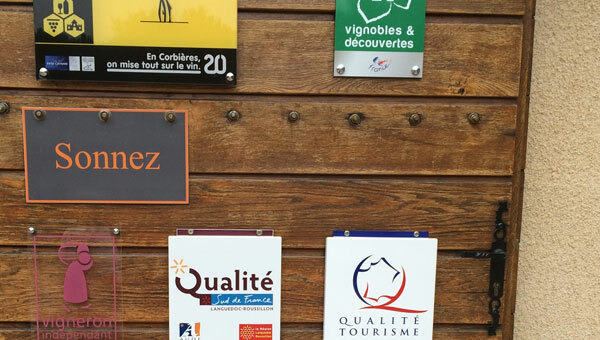 Part of the action plan laid down at the Grenelle Environment Forum, the HVE certification is awarded by the Department of Agriculture to winemakers who meet the highest environmental standards of production. 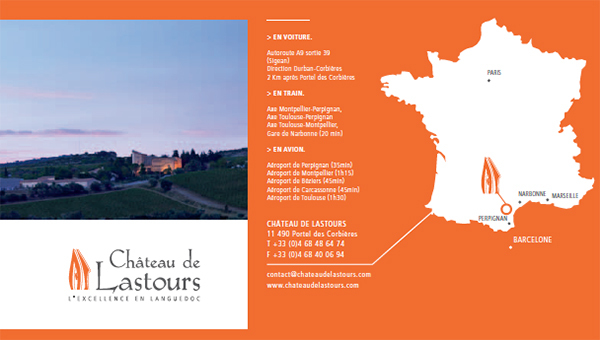 Stay connected with us on Facebook & Twitter to get the latest news on Château de Lastours and our exclusive online games and contests. Join us on Facebook and Twitter !! !! !LE CHÂTEAU DE LASTOURS, CUVÉE ARNAUD DE BERRE 2012!!! Come and meet us in our brand new showroom! 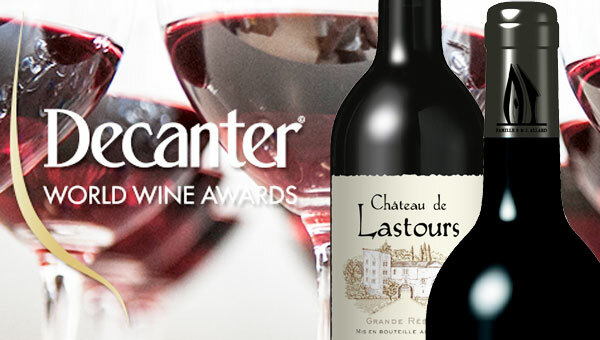 Two bronze medals for the Château de Lastours’ wines ! !